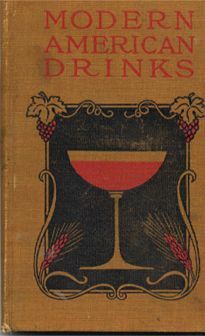 Due to the timing of its introduction, it is thought that the origins of the cocktail’s name are most likely are connected with the famed athlete Malcolm Webster Ford rather than with the ultimately more famous Henry Ford. 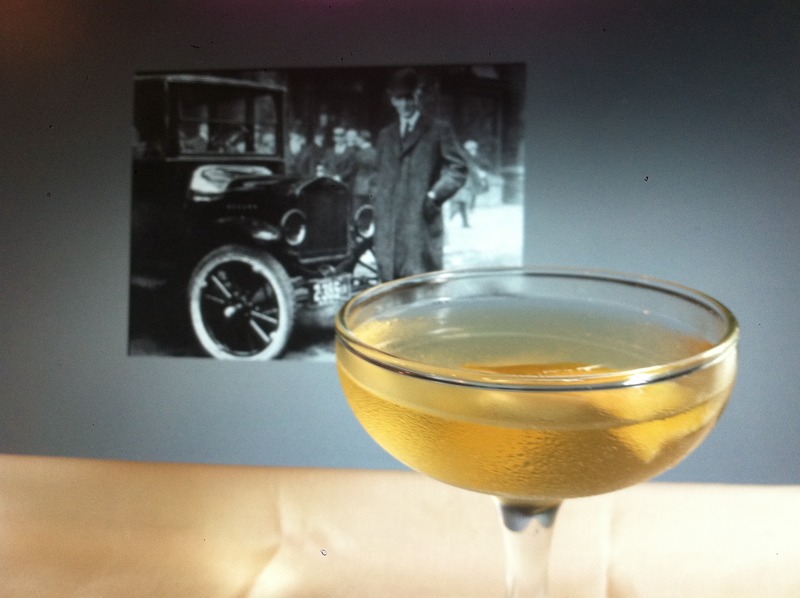 However, since Malcolm’s end was in the end very sad (murder and suicide…no, I’m not making that up), we chose to utilize the images of Henry Ford and his creation for photographing this cocktail. Unfortunately, a change in image didn’t save the taste. Based on the ingredients of gin, dry vermouth, and orange bitters, I had my hopes up for a earthy martini due to the introduction of the Benedictine. Instead, we were left with a muddled flavor of musty herbs fighting against the light citrus and juniper berry. Perhaps with a change in proportions this drink might work, but we found its current incarnation weak and pointless. Combine all ingredients in a cocktail shaker and stir until well chilled. Strain into a coupe glass and garnish with orange peel. This has more of a martini feel to it. Try using Old Tom gin in place of a dry. It alleviates most of the clashing you experienced, and fits more into the time frame of the cocktail. This almost seems like the missing link cocktail between a martinez and the martini to me. Previous Previous post: Earth Day – I’ll drink to that!